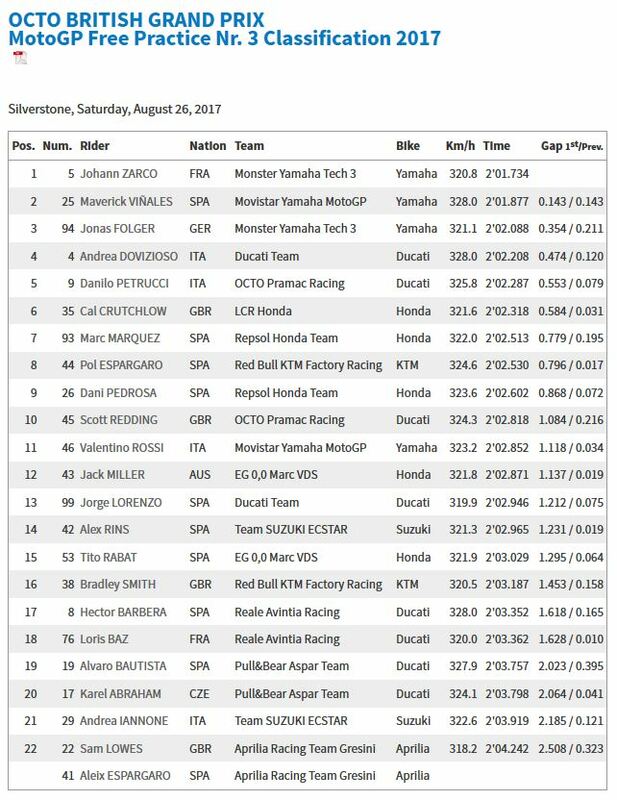 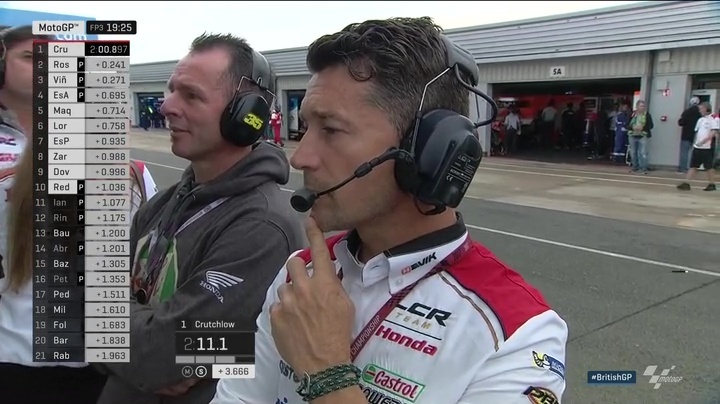 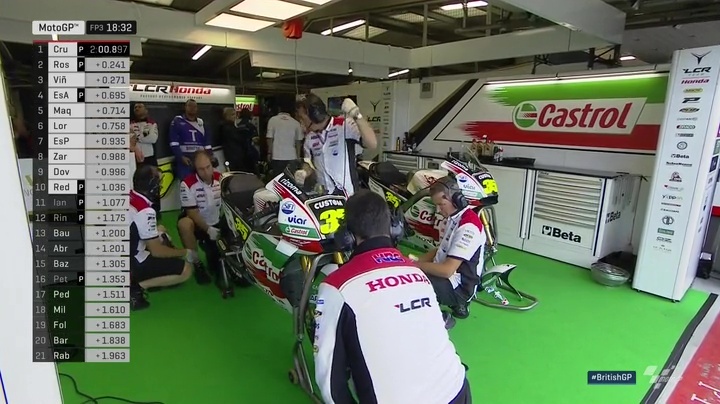 Cal Crutchlow (LCR Honda) remains top of the pole at his home GP, after laptimes didn’t improve in FP3 following some light, early rain at the track. 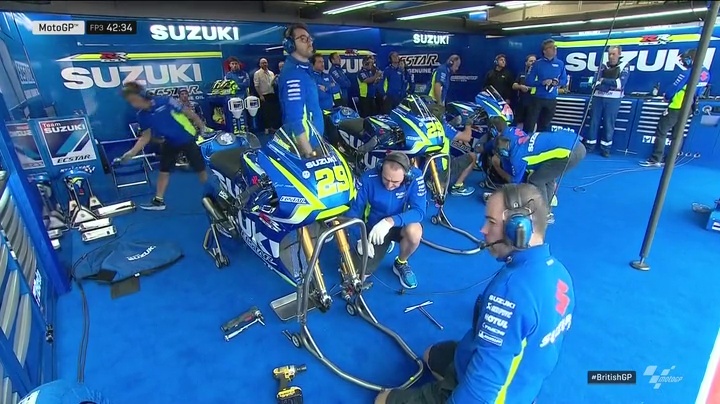 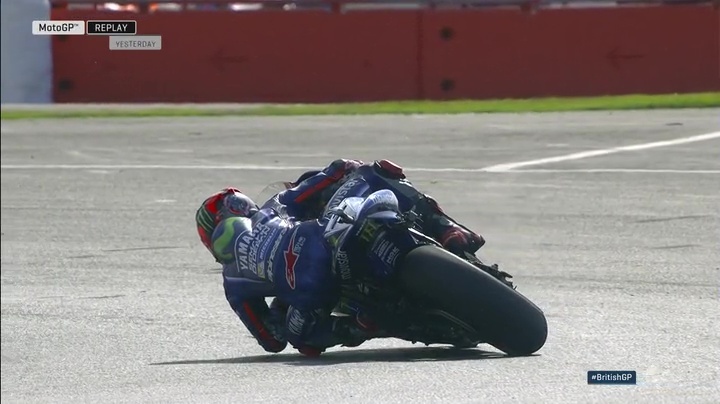 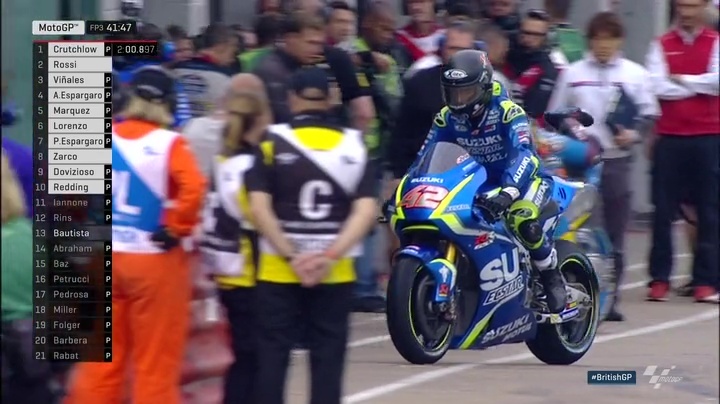 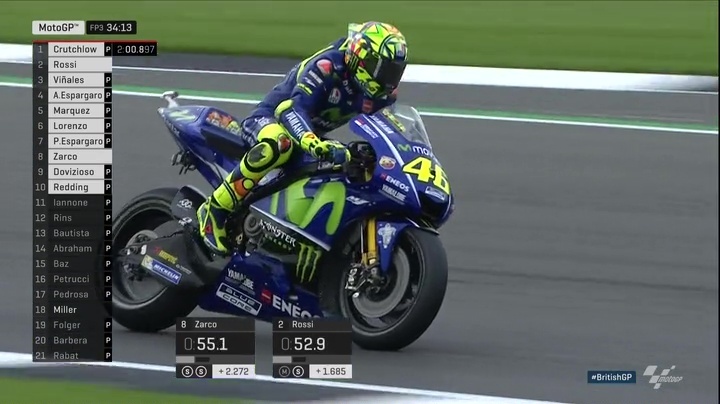 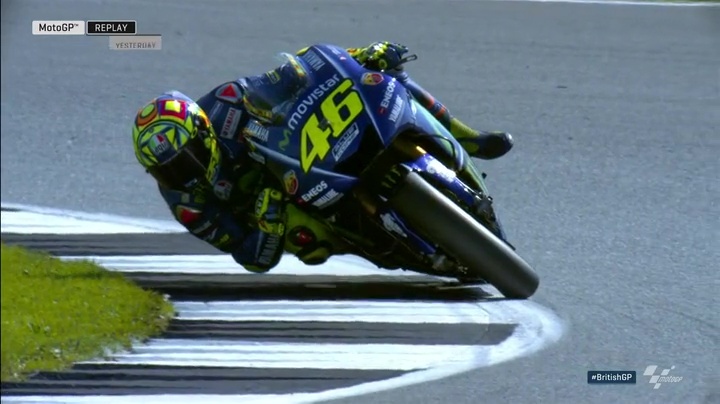 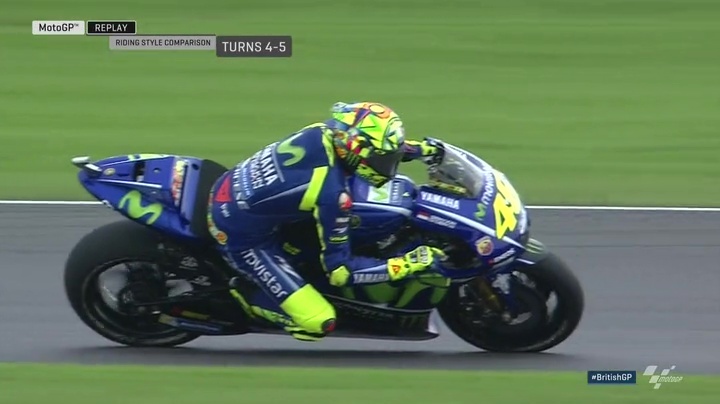 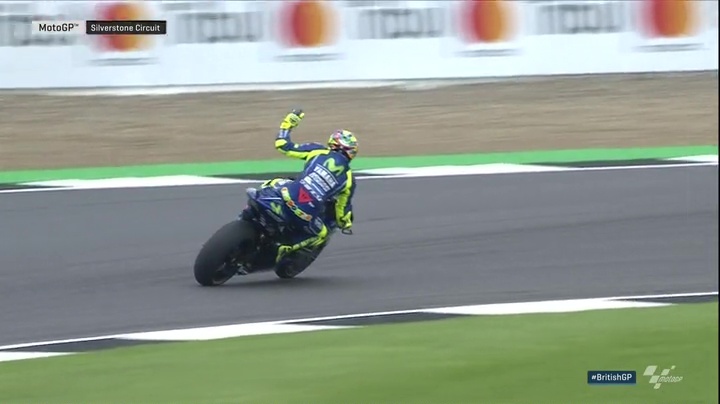 That leaves Valentino Rossi (Movistar Yamaha MotoGP) heading the Yamaha charge in P2, ahead of teammate Maverick Viñales. 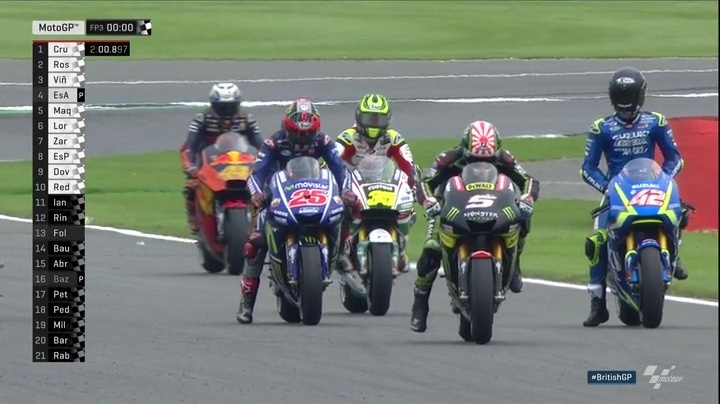 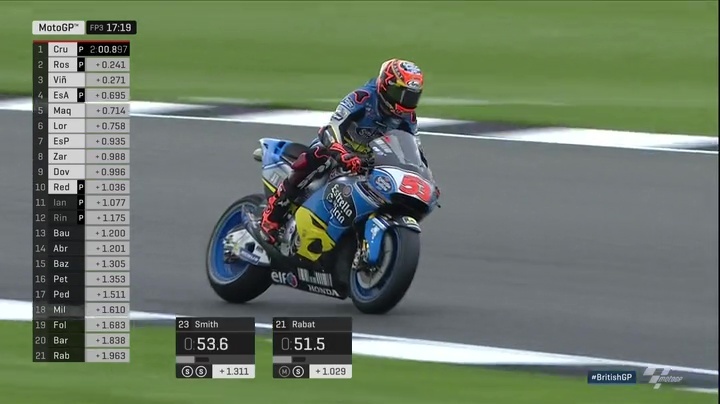 Aleix Espargaro (Aprilia Racing Team Gresini) retains his stunning P4 from a solid Friday despite riding through the pain barrier, with reigning Champion Marc Marquez (Repsol Honda Team) completing the top five despite two crashes on Friday – rider ok. Jorge Lorenzo (Ducati Team) rounds out the fastest six at Silverstone ahead of qualifying, and was the fastest Borgo Panigale machine over the first three sessions. 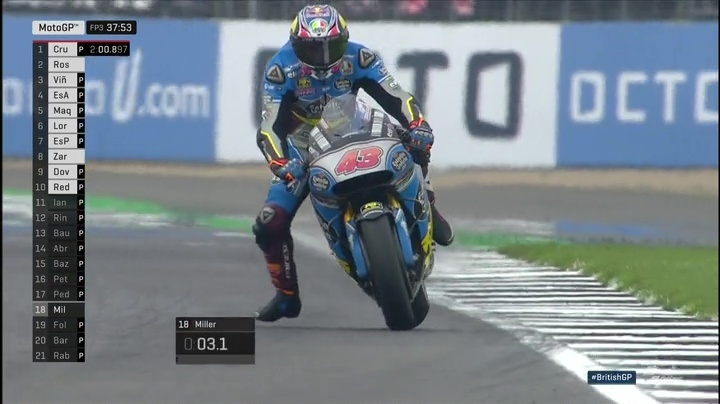 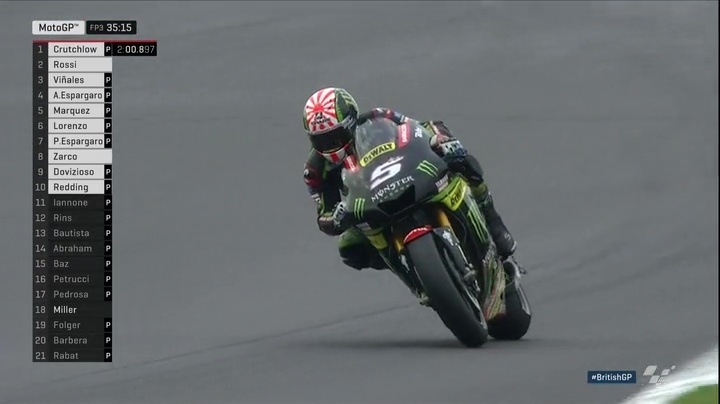 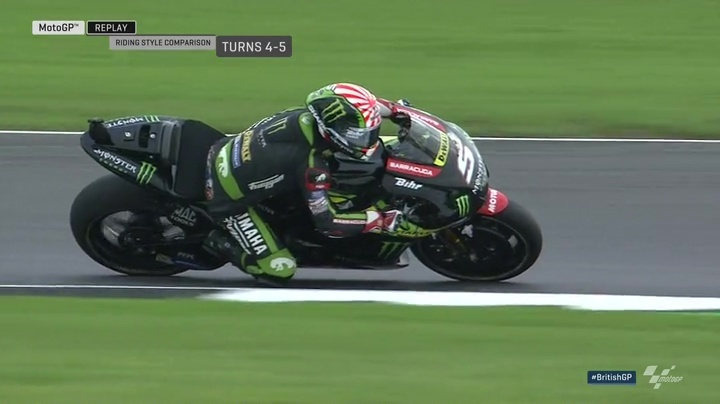 Johann Zarco (Monster Yamaha Tech 3) is seventh fastest as he remains a frontrunner in his rookie year, just ahead of another stunner from Pol Espargaro (Red Bull KTM Factory Racing), who bucked the ‘Bull’ straight into Q2 as the Austrian factory continue to impress. 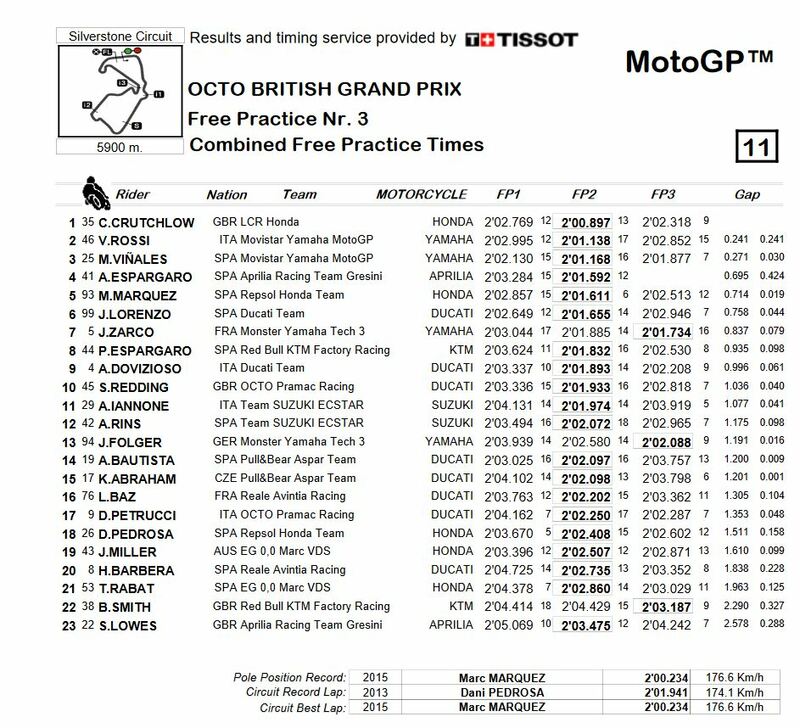 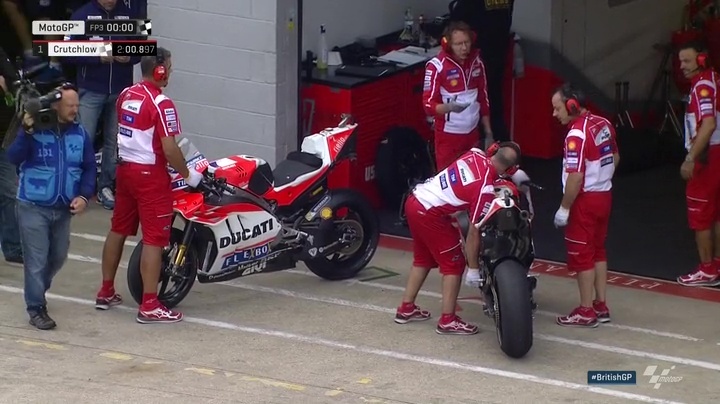 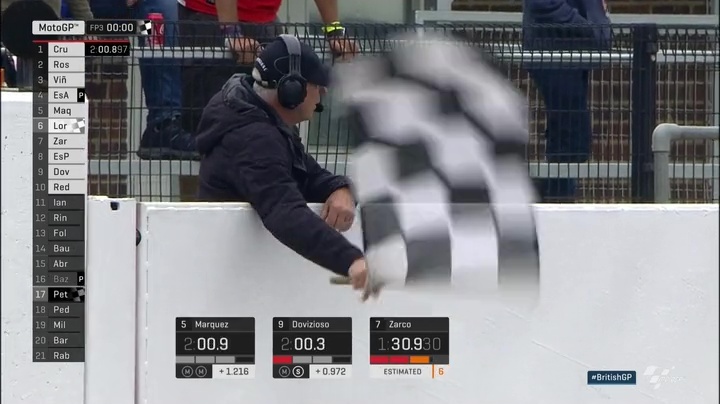 Championship challenger Andrea Dovizioso (Ducati Team) moves through to Q2 in P9, with Scott Redding (Octo Pramac Racing) the final automatic graduate following the first three sessions. 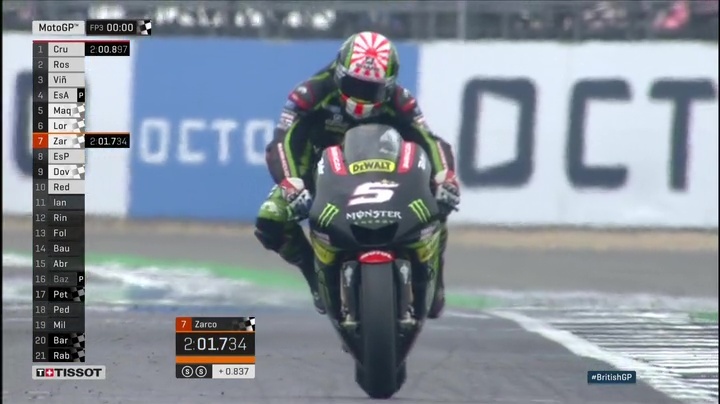 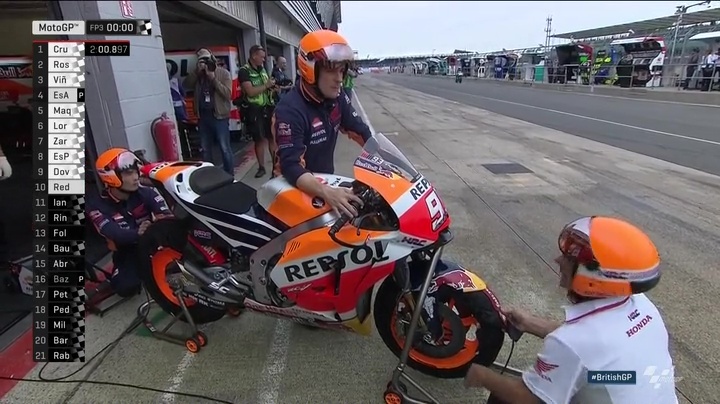 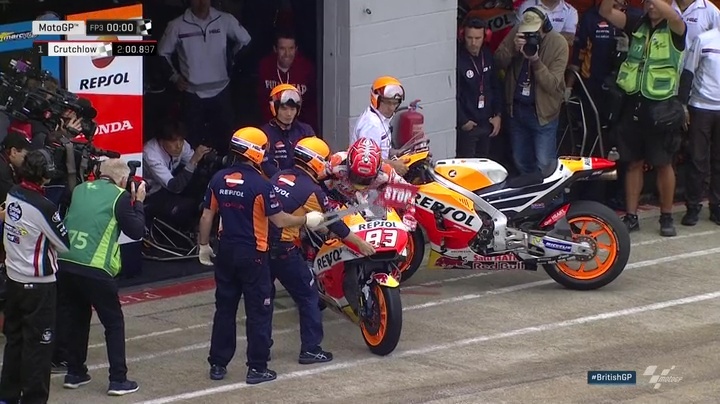 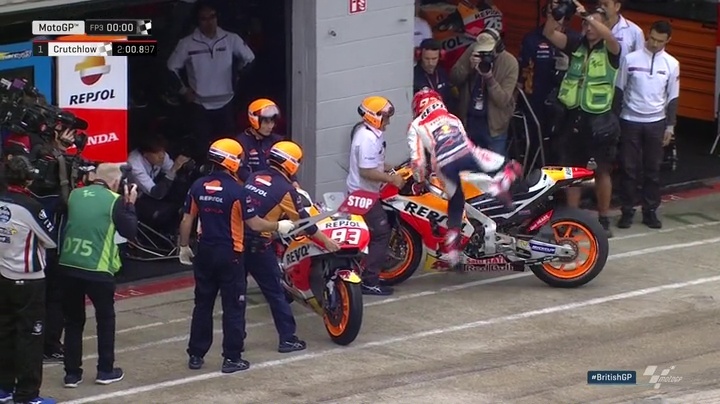 That leaves two big names out the mix as it stands – Dani Pedrosa (Repsol Honda Team) and Jonas Folger (Monster Yamaha Tech 3), who will both be looking to top Q1 and get through to fight for the top 12 positions on the grid.